Jwala Gutta in a new Avatar: her debut film! The 23-year-old became a household name after the 2016 Olympics, when she became the first Indian woman to win a silver medal. India's star shuttler PV Sindhu, who is yet to win a world or Olympic title, has been listed as the world's seventh-highest paid sportswoman on the Forbes rich list. Speaking at the Asian Games in Jakarta, Sindhu said she was delighted to be placed so high, behind six well-known tennis players with Serena Williams at number one. "Well it feels good and nice and happy about it. When I saw the news then it was like, okay, I am one of them," Sindhu said. "The money always goes to the bank so not much account on that, but I think just to be in that list with some top names is reason enough to smile," she said. In a country with population of 1.3 billion, the 23-year-old became a household name after the 2016 Olympics, when she became the first Indian woman to win a silver medal. It brought a flood of endorsements, from sports drinks to mobile phones to car tyres. According to media company Forbes, she earned $8.5 million between June 2017 and June 2018, including $8 million from sponsorships and $500,000 in prize money. Williams, the 23-time Grand Slam champion, topped Forbes' list with $18.1 million. Caroline Wozniacki, Sloane Stephens, Garbine Muguruza, Maria Sharapova and Venus Williams were the other tennis players listed higher than Sindhu. However, the Indian came in higher than tennis' current world number one, Simona Halep, and Nascar driver Danica Patrick. Sindhu, badminton's world number three, came in for criticism recently when she lost her fourth straight final this year in the world championships against Spain's Carolina Marin. Sindhu also lost in the Commonwealth Games final to Nehwal, and fell at the last hurdle at both the Indian Open and the Thailand Open. But she said is not too concerned about the results. "Losing is part of life. You lose some and win some. I have to take it on a positive note. I look to come out stronger with every loss," said Sindhu. Sindhu first reached international attention when she broke into the world top 20 aged 17 in September 2012. Six years on, she has badminton's ultimate prize firmly in her sights. "For now it's just Asian Games and after that we have some of the Super Series so focusing on that," Sindhu said. "And then yeah, hopefully I'll win an Olympic gold," she added with a laugh. Badminton Association of India vice-president Punnaiah Chawdary said Sindhu's recognition by Forbes was "great news for Indian badminton". "Sindhu, Saina all are great in their own right. 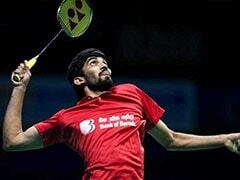 We are definitely going to win some medals here," Chowdary told AFP. "She (Sindhu) is playing well and is being rewarded for that. So I wish her luck," he said. 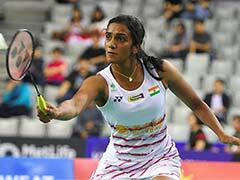 Sindhu beat Vietnam's world number 52, Vu Thi Trang, 21-10, 12-21, 23-21 in the first round in Jakarta, and will next play Indonesia's Gregoria Mariska Tunjung.